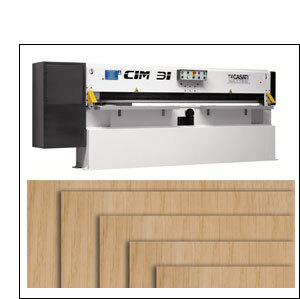 The CIM is pneumatically operated to give a smooth operation and powerful action through the toughest veneers via a torsion bar system which ensures the cutting action is distributed across the full width of the blade. The cutting length is sufficient for most applications and the rear fence is adjusted by a conveniently placed central hand wheel. The fence can be motorised on request. A cutting light is projected on the cut line which can be invaluable in minimising waste particularly when dealing with expensive veneers species. From a safety aspect the cutting cycle requires two handed operation to ensure that hands and fingers are well out of the way during the operating cycle. Longitudinal glue-joint splicers. For glue-spliced joints. 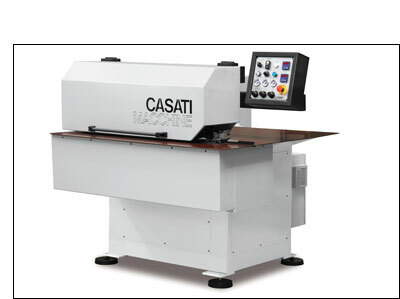 This machine permits the longitudinal splicing of veneer sheets, the edges of which have been previously glued. 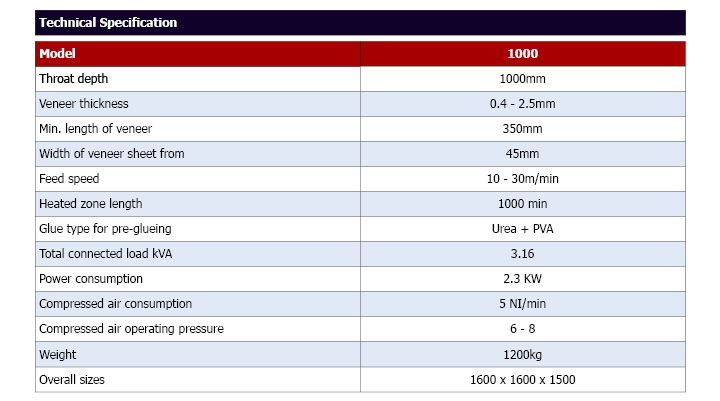 Linea 1000 provides feeding and splicing of the veneer: the joining is obtained by heating device. Accurate adjustment devices permit the best working mode according to speed, temperature, glue and thickness of the veneer. 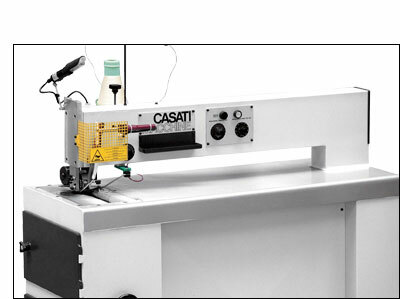 The Casati Z1000 Glue Thread Splicing Machine has a variable feed speeds from 10 - 25m/min and the ability to adjust the stitching pattern by controlling the feed speed and thread application height. With the large throat of 1000mm the machine will cope with most eventualities and additional capacity can be gained by building a support table to the left of the machine.